Last Saturday, I (Nate) had the privilege of taking part in the 1st Predigertag at the Quellenstrasse Church. This was a one-day preaching conference at our field leader's church in the 10th district hosted by Langham Preaching, which is a part of All Souls Church in England. The goal of the conference was to teach the whole process of preaching an expository sermon. (Don't be scared off by the word "expository"! It just means going through a single passage and explaining its meaning and application.) This contrasts with "topical" sermons, which use many different bible texts and seek to address a single topic (eg. marriage, fear, or redemption). If you are curious what this looks like, this book by Brian Chapel called Christ-Centered Preaching is one of the main books used to teach this process. If you are thinking, "wow that is a lot of content to cover in a single day!" you would be right. This became even more difficult because the speaker presented in English and then another pastor translated into German. The translator did an amazing job, and I am continually impressed at those that are able to do that well. Now that I speak German, though, I find it distracting to basically listen to a message twice. It is also hard to not start thinking about how I would translate something into German. I think it is mentally easier for me to be in one language than switching between two. This is why often at a German speaking event or a church service, I will speak with other English speakers in German. It is less work to switch gears and remember English words than it is to just speak German. I was very excited by a few specific things at this conference. First, it was great to see a lot of younger guys at this conference. It is easy sometimes to forget that God is moving among the younger generation here in Austria, but Saturday was a good reminder to me that there God is at work here. 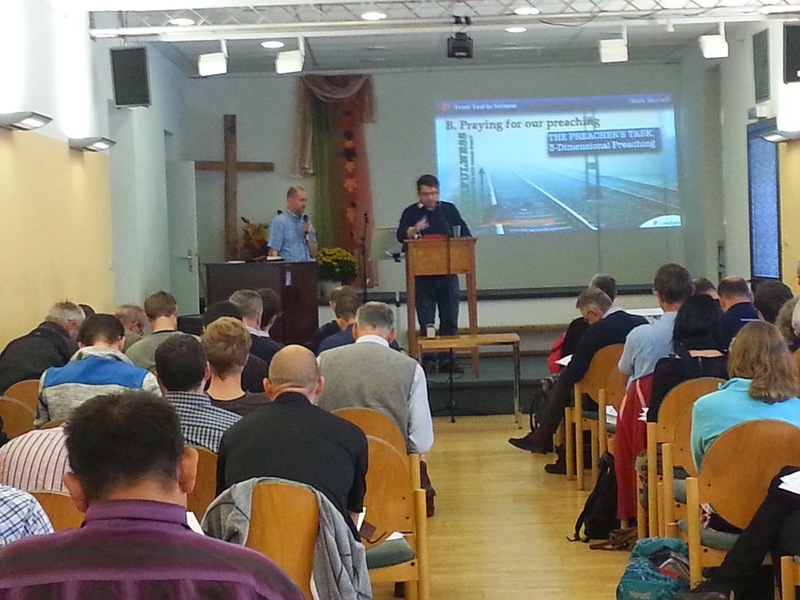 It was also exciting to see so many different churches and areas of Austria represented. We had leaders from many of the provinces of Austria, included a contingent from Tirol, which is way on the western side! This conference was also a great chance for me to see Bobby Harnist and Pastor Jeff from Grace Community Bible Church. Bobby and his wife, Danielle, will soon be missionaries here and Danielle and I grew up together. Bobby and his pastor are in Austria for a week visiting with church leaders and prepping for the Harnists to come here. Based on all this, we ask for your prayer. Please pray for the leaders of the churches in Austria, that they would be close to God and lead wisely and faithfully, as well as faithfully teach God's word in their churches. I'm excited, first and foremost, to spend quality time with my family and for them to get to see Ellie at this stage. It will be so fun to have all of the cousins together and to go trick-or-treating (ages 9 months to 13 years!). I'm also excited about being there in the fall. Connecticut is beautiful this time of year, and I can't wait to carve pumpkins, eat honey crisps apples, drink apple cider, photograph leaves and explore a corn maze. 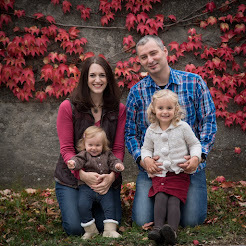 I will also have the chance to share an update at two supporting churches, which will be a really valuable opportunity to connect people with what God is doing in Austria. However, there are a few parts of the trip that I'm nervous about. 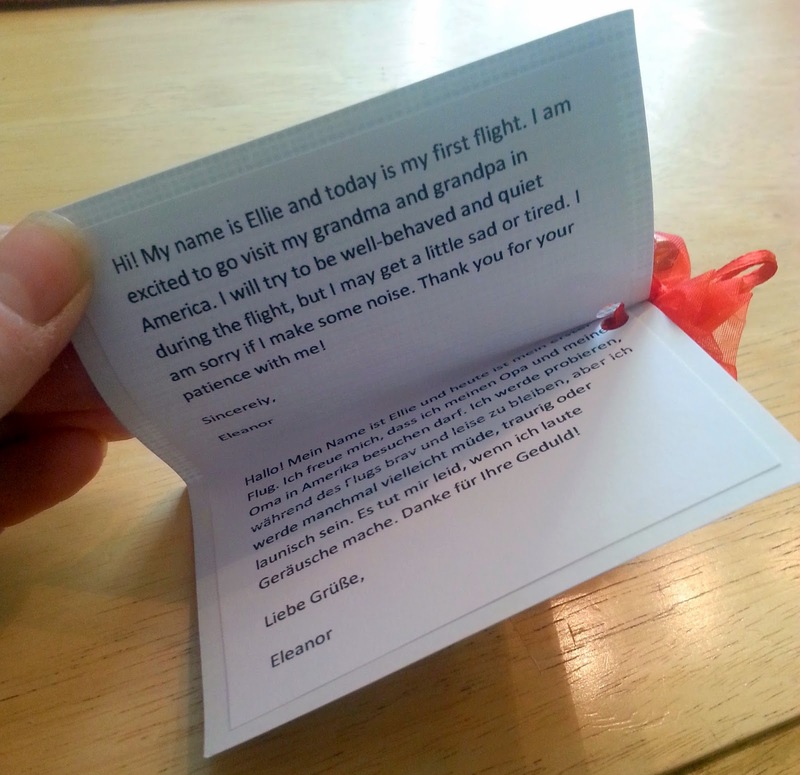 Understandably, I am nervous about flying with Ellie alone and how she will cope with being couped up on a plane for 9 hours. I'm also nervous about how she will handle jetlag and if that will put a damper on my time there. But most of all, I'm nervous and a bit curious about how I will handle being back in my home country after being gone for 2 years. Will it make me even more homesick? Will I notice things about the U.S. that bother me and become judgmental towards my home culture, idealizing our home in Vienna? Will I be overwhelmed with the amount of choices at the grocery store, paralyzed in the cereal or salad dressing aisle? I have no idea what to expect or how I can be preparing myself now for the feelings I will encounter...other than to start thinking and processing it now. Two years ago today, we stepped off a plane and arrived in Vienna. Two years! It is one of those things that seems like yesterday and seems simultaneously like so long ago. The longer we are here, the farther away our life in the States feels and the more Vienna feels like home. We have gone through so much change since the fall of 2012 - learning a new language, acclimating to a culture, finding and being blessed by a new community and church, making a home and expanding our family. No wonder our "previous life" feels like a distant past! Through all of this, the Lord's hand has been so clear to us. He has directed and guided us each step of the way and continues to bring encouragement into our lives. We still feel very confirmed and certain that this is where He wants us to serve, and it has been exciting to get more and more involved in practical ministry over these last few months. From finding an apartment and getting settled, to discovering and being welcomed in by our church, to picking up German...God has blessed every step and we are so thankful. We look forward to seeing what the next two years in Vienna will bring!